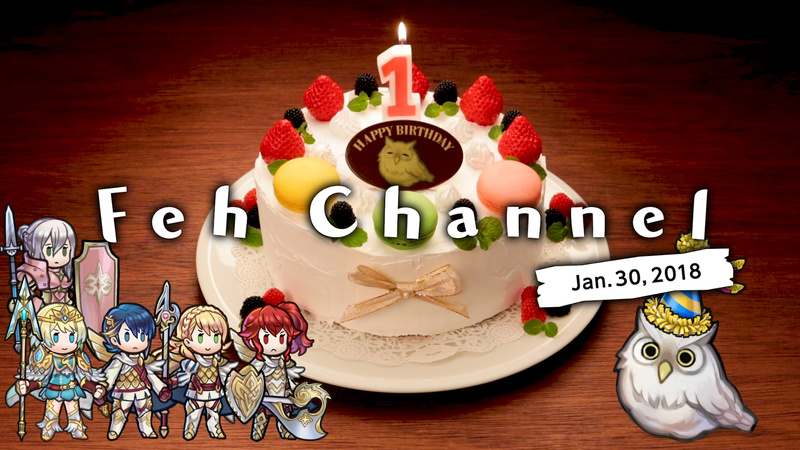 In celebration of Fire Emblem Heroes' first birthday, which happens on 2 Feburary, Nintendo will release an update to Fire Emblem Heroes for iOS and Android. Quite a bit of information was divulged in this surprise announcement, so without further ado, let's jump right into it. Nintendo announced all players would receive a first anniversary gift of 50 orbs. For the uninitiated, orbs are the currency used to summon new heroes. Each summon costs five orbs, meaning you get a total of 10 free summons. The first anniversary present will be available starting 1 February and ends on 7 March. Beginning on 1 February, daily maps will be available to all players. There will be a total of 25 maps, with a new one being made available each day. The daily maps will be made available in the special m aps area and each map has two difficulty settings you can play; each difficulty grants an orb upon first completion. Beginning 3 February, more teams created by the developers will be made available for players to battle. 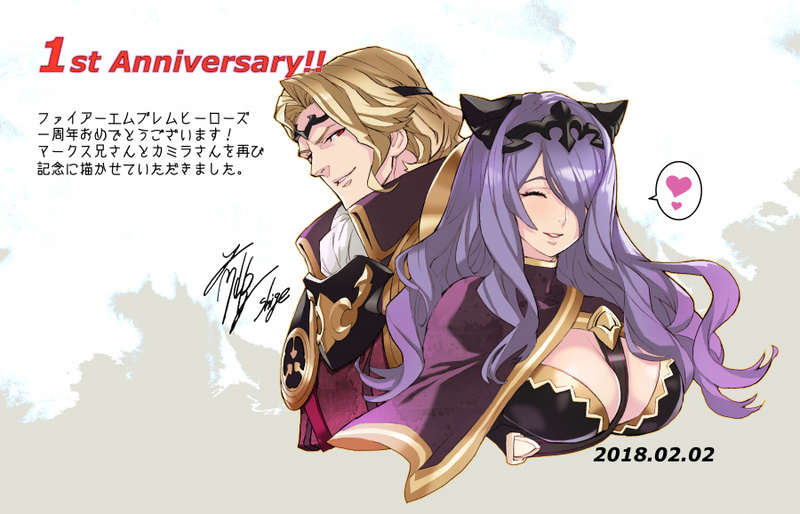 Grand Heroes that have previously left the game will be returning for the festivities, including Xander. Beginning on 8 February, Grand Heroes will begin appearing in maps. Xander's encounter will now have an infernal difficulty level added. FEH is adding special training maps, each of which is designed to allow a specific type of ally to level up. Each day a total of five maps will be made available. Also coming to FEH is a new Hero Fest. 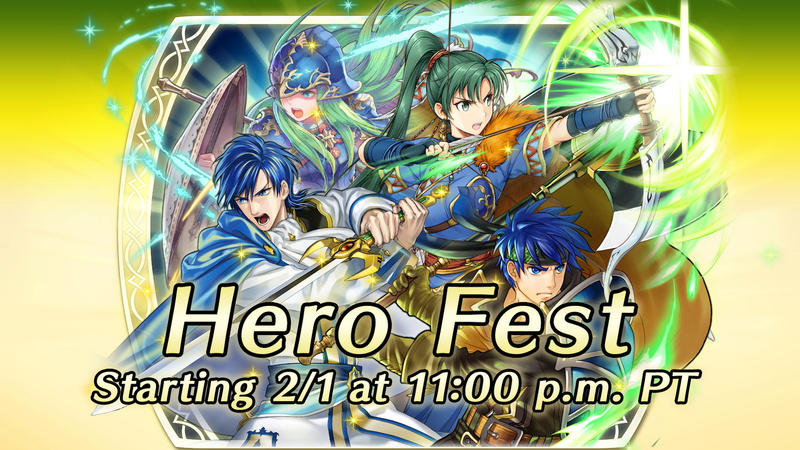 This event focuses on legendary heroes, with a 5% appearance rate, the four heroes this even focuses on are Nephenee, Ike, Lyn and Sigurd. 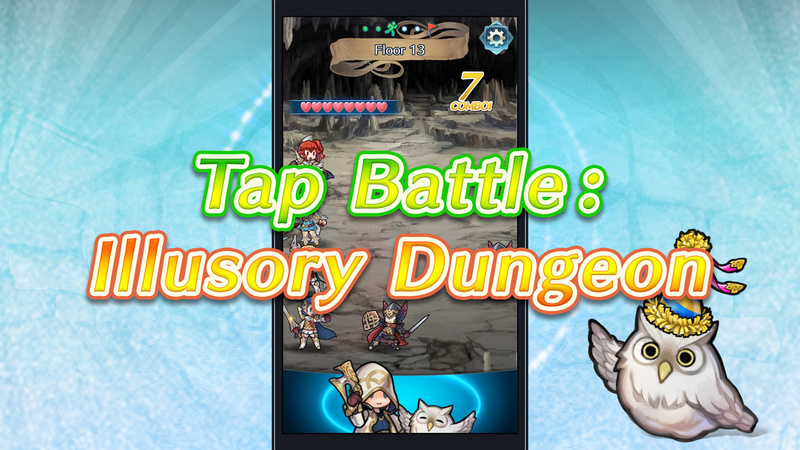 The most interesting announcement of the evening came in the form of a new mode for FEH which incorporates a brand new play style, Tap Battle: Illusory Dungeon. In Tap Battle mode, FEH becomes a rhythm game. Enemies approach one of your four on-screen allies in time with music and you must tap the screen just before they attack to dispatch them. The gameplay appears to mimic that of Square's Theatrhythm series which was a hit on the 3DS. Tap Battle begins on 8 February and runs through 22 February. Last, but not least, Nintendo announced a new event is coming to FEH, beginning 1 February. In the event, players can vote for their favourite hero. Once voting concludes, every player will receive that hero. There was no end date reported for voting. That's all Nintendo announced. It appears they intend to support Fire Emblem Heroes for the foreseeable future, despite the recent death of Miitomo. Are you still playing Fire Emblem Heroes? What do you make of this update, and if you have quit, will this bring you back into the fold? Let us know with a comment below. After watching them completely dump Miitomo (why can’t it function offline after May? ), I have no desire to invest time or money into a Nintendo app that might be completely gone and inaccessible in a few years. Not to mention this game is stale and boring compared to actual main series Fire Emblem games. 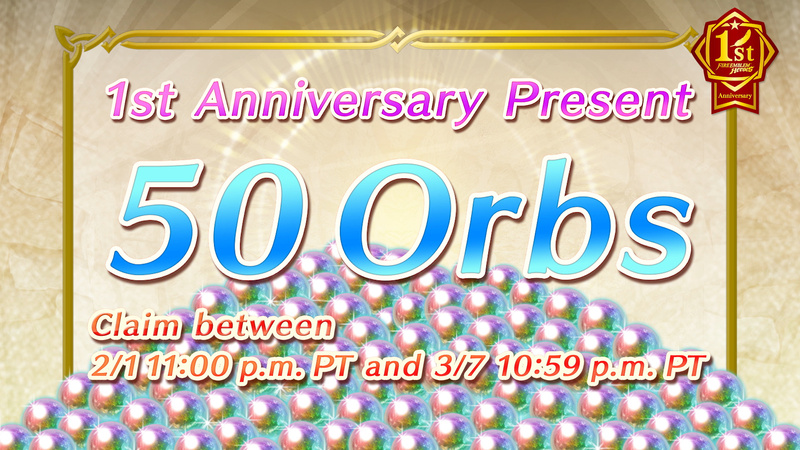 50 orbs?! Well, time to redownload it! Haven't touched this in ages in favour of just replaying the far more engaging actual Fire Emblems, but that rhythm mode sounds great! I've always wished for a Fire Emblem version of Theatrhythm! One of the few phone games I regretfully paid money into. It's a dumbed down Fire Emblem for sure. I love the art it spawns and the attention for the series it gets, but I despise this free-to-play pay to play more model. The only reason I gave it the time of day is because it's Fire Emblem! I deleted this a week or two ago from my phone. Hadn't played it in months and it's an absolute hog in terms of memory, most apps are around 50MB but this was well over 800MB. Eh, it’s pretty fair for a F2P game. Unfortunately it’s just repetitive and kind of boring after a while. 50 orbs doesn't neccesarily get you 10 summons. When you go to summon, you are presented with 5 hidden choices. The first one costs 5 orbs, the 2nd, 3rd and 4th ones cost 4 orbs, and the 5th one costs 3 orbs. 50 orbs can potentially get you 12 summons with one orb remaining. The daily maps add 25 maps with 2 orbs each over both difficulty levels, that's another 50 orbs. However, when you summon from a banner for the first time, you get the first summon free, and a full round would only cost 15 orbs, but only once. With this in mind, and with a Mini tempest ongoing (anouther 42 orbs) and having a warchest of over 200 orbs, I may finally spend some of them. If only I had the space - my barracks are full of Berukas, Oboros and Arthurs that I'm intending to fully 5* merge. I've already done it with Cecilia, and she's one of my most valuable units. 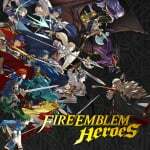 @thesilverbrick The difference between Miitomo and Fire Emblem Heroes is that Fire Emblem Heroes is profitable. I have this in the back of my mind though, so I'm apprehensive about spending real world money on games like this. One year already. Maybe "this item" will be finally be "available in your country" for this festive occasion. The game isn't even usable via a sideload since the data download hangs up midway through the bulky 800-something Mb. Even SMR's delay has been dwarfed by now. Still been playing, having lots of fun with it. Game puts Mario Run to shame. Cool 1 year gifts for sure. Wait where can I find the art that was shown in the video? Have the artists posted it on their twitter already? As expected, Nintendo still is too stubborn enough to make more profit by giving FEH and AC a worldwide release. Way to go Nintendo Mobile. Way to go..
Will this update include removing always online DRM? EA gets ripped to shreds for this, but of course Nintendo gets a free pass. I used around 150 orbs this morning on the new Legendary Heroes: Ike banner without a single 5* unit. That's spectacularly bad luck. I should have had almost 3 units by now. I'm up to 11% chance to get a 5* unit with each summon. I've never spent a penny and won't start now. The 50 bonus orbs tomorrow are appreciated. I remember my last legendary summoning - I was up to 11% as well. I got another Ayra though, and she's pretty handy. FE Heroes is great and I'm happy that the developers are so generous. Not going to look a gift horse in the mouth, even if the monetization model is anti consumer. @Heavyarms55 It's not a game where you have to pay to play more. I've been playing fairly frequently since launch, and I've never put a cent into the game aside from a couple $3 rewards from Google surveys (so technically, I haven't spent any of my own money). I've never felt like I'm being locked out of content because I'm a F2P player. @VIIIAxel You aren't locked out, but you are limited. It's not as bad since it's mostly a single player game, but you get a huge advantage if you spend money. Many more chances to get your desired characters. I am probably a lot more excited for the Tap Battle mode then I reasonably should be.